I was recently chatting with a good friend of mine, who happens to be a successful entrepreneur in the fashion industry. He called me from work late on a Sunday, and frankly I was surprised he was still working. I wouldn’t have been surprised if it was coming from “a Web Entrepreneur”, since they can work whenever and wherever. But I wasn’t expecting that from a “real economy” company guy. I laughed, we chatted, and then I let him get back to his work. Later, though, I gave this sentence some thought and realized how right he was. 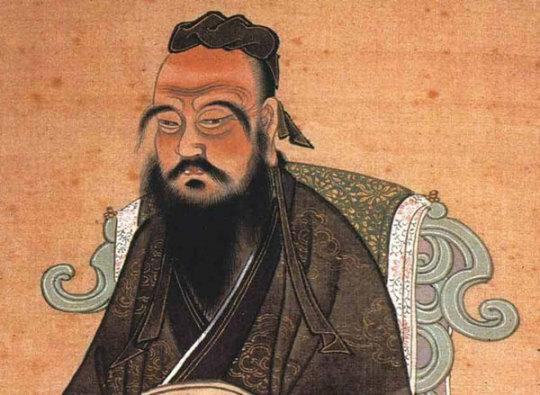 No, not my friend and his Easter weekend workday, but Confucius. It’s true. This what humans have sought forever – never having to work a day in their life. And what we have built and are building with technology is basically taking work out of our life; or at least making it less painful, more enjoyable, more like a hobby. More like something we actually love. What work used to be. If I ask you to imagine what it was like working 1000 years ago, you could easily picture someone being forced to harvest wheat without ever being paid, maybe only keeping a small portion for his family. Most of the jobs were not “jobs” of choice but rather imposed by where you were born and who your parents were. Of course, a few blue-blood and privileged people used to have the right to practice arts, sports and other hobbies. If you were a merchant you’d be lucky to be practicing something approaching an entrepreneurial venture, but you would have had to give a huge chunk of revenue to the lord governing your town. Work was hard, mostly boring, and there was no opportunity for the spirit to flourish. The unemployment rate is a sign of modern society where work is not a necessity anymore but can instead be a choice. Obviously, few people are making the choice to be unemployed, but you can survive without a job. But 500 years ago, not having a job would mean you were either an artist or dead. Today, many people don’t consider work being something other than actual work, because they learn, they travel, they grow their network, they advance in their career. You have the choice to become a doctor, a lawyer, a farmer, a truck-driver – indeed there are hundreds of jobs you can choose from. Some require long and costly years of school, some others can be started as soon as the law allows you to. As an example, many successful entrepreneurs like Steve Jobs or Mark Zuckerberg are drop-outs from college, so who said you need to have a Master’s degree to build a world leading company? In modern society you can choose the rhythm of your work week. Most people will do 40 to 50 hours in developed countries, maybe less if you are lucky enough to be working in Germany or Norway. But we have invented great ways to be taking a break from work, too. Paid Time Off, Bank Holidays, and vacation in exchange for overtime. So you can easily manage your week to make it lighter and if you are about to burn-out just take some Non-Paid Time Off for a year to travel around the world. We have made work more flexible, more enjoyable, and is today the best way to advance socially. Most of these changes have happened in the last 250 years since the French and American Revolutions put the individual citizen back in the central position of power in the nation-state. everybody loves what they do and does it perfectly well. Remember when at school your teacher asked you “what you want to do when you grow up?” All of you wanted to be a fireman, a singer, a vet, or a professional sportsperson. For me, I wanted to be an astronaut (actually I still think I can become one, one day!). We wanted to do these jobs not for the money we’ll make out of them but for the dream it represented. As kids we saw those not as jobs, but as dreams. But then life came in and we had to make choices. For me, math was too abstract to see me following a scientific track. So instead of being free as an astronaut in space, I found out that maybe being an entrepreneur would be a kind of an astronaut in the job market. Technology, again, is making this a reality, providing the opportunity we have today is to do what we love and be great at it. There are fewer and fewer barriers to be changing career paths overnight in order to pursue happiness. people at the center and not the organization. This is one of the reasons for some of the strongest fights in our society: employees fighting employers, people against companies. This will end. In few years from now everyone will have the capacity to run their very own company with themselves at the center of the value chain. 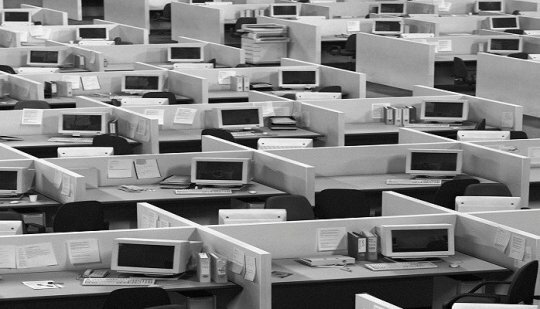 Large corporations have already started to decline in employee numbers and in value. Look at the difference of value per employee of Tesla vs GM, even if both are manufacturing cars. GM creates $240,000 of market value per employee, while Tesla creates $2.9 million. Companies don’t need to be at the center of the society but can be replaced with individuals and talents. “Work” becomes much more fluid, like a service. And, just as we talk about Software as a Service (SaaS) we’ll soon talk about WaaS, or “Work as a Service”. from centralized and timed, to everywhere and at anytime. Technology has made it possible already to be anywhere on Earth and make an impact. A company like Google which was for years hiring thousands of Indian people and flying them to Mountain View, California, is now growing its workforce directly in India. Marketplaces of workers can now be used almost as a total replacement of traditional recruitment. How many job listings are now being replaced by a post on Upwork or Freelancer.com? This is what I see, within DOZ, our very own marketing agency in the cloud. Many of our clients would have, in the past, hired full time employees to manage their marketing. Due to the nature of marketing, its globalization and its speed, our clients and many other companies feel more comfortable managing talents in the cloud. This is the case for marketing, and many other verticals. This is why we’ll soon talk more about the ‘cloud of people’ instead of just ‘cloud computing’. artificial Intelligence does everything we hate. Have you seen Boston Robotics robots lifting heavy boxes? Imagine all jobs that require physical effort disappear in less than fifty years. Of course there will be unemployment as a result but humanity as a whole will increase its quality of life and its life expectancy, too. In the past the one has always followed the other, and every time we invent new tools, new energy, new ways to expend less effort to achieve more, our life expectancy has improved. The more technology is involved in our lives, the less that ‘work’ will seem like ‘work’. We’ll be automating all recurring and boring tasks and removing all physical efforts. nnia old and, while it took time, we’ve been never so close to making it a reality for all. Of course, I’m not blind to the reality that the privileged, the wealthy and the better educated will benefit from this evolution first, but I’m optimistic to see technological progress making it accessible to all of the world – and soon.